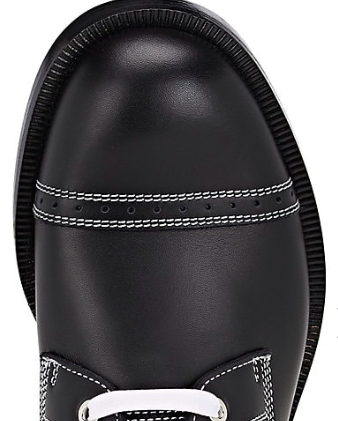 Boot season is upon us and Loewe, under the direction of the whimsical Jonathan Anderson, has gotten new life breathed into the venerable Spanish house. His whimsy for color of eye-play is refreshing for modern menswear. 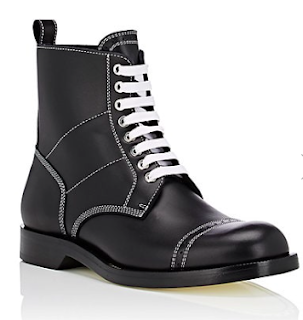 This Leather Lace-Up Ankle Boot is a simple version of his aesthetic with its classic shaping that features the almost cartoon-like white top-stitching atop slick buttery contrasting black leather. The top-stitching is accentuated by minimal yet distinct panelling in the shaft with discreet tooling on the toe-cap line that make this an eye-catching and rather fun boot for the season. 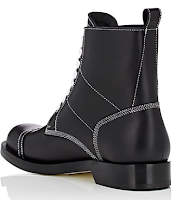 Available now at Barneys.com.